Members of the Marion County [Florida] Board of County Commissioners voted unanimously Tuesday to reinstate the Confederate flag atop a county building. The flag was immediately raised once again over the Fallen Officers Memorial on Southeast 25th Street in Ocala. 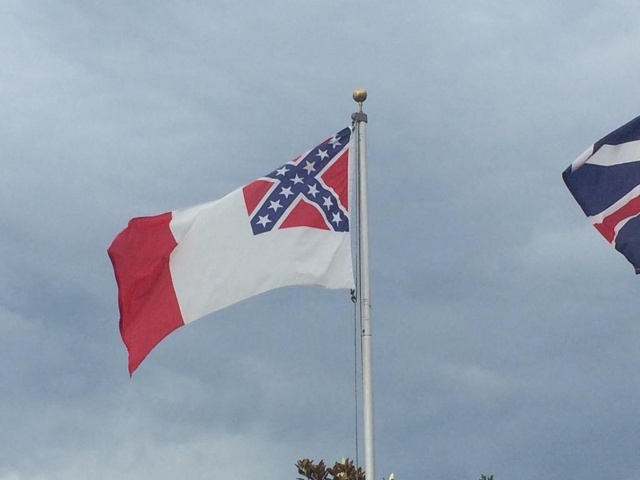 Interim County Administrator Bill Kaufman and Marion County Board Chairman Stan McClain had decided to take down the Confederate flag at the end of June after South Carolina started discussing its laws surrounding the flag at its government centers. The discussion was prompted by the shooting deaths of nine people inside the Emmanel AME Church in Charleston. The vote was pushed by members of the public who turned out for Tuesday’s county commission meeting to speak during a general public comments section. “We are all exposed to messages and symbols that may not connect for us, but we should all honor our ancestors and protect free expression,” said state Rep. Dennis Baxley, (R-Ocala). Next post Time for a Convention of the States?